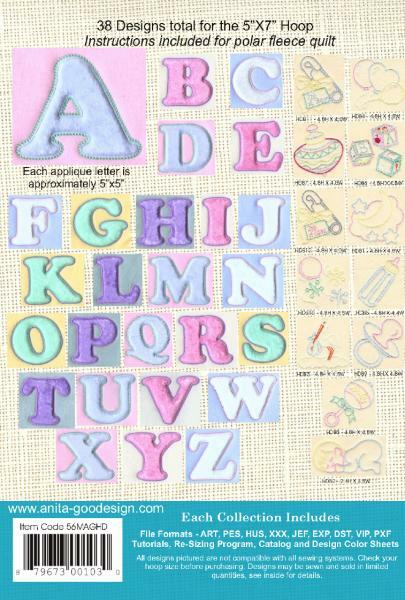 Quilted Baby Alphabet includes a beautiful alphabet that is suited perfectly for baby projects. 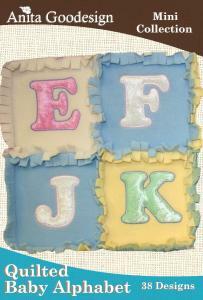 We created each letter using a crushed velvet panne in assorted colors. The instructions to create this beautiful quilt are also included. As a bonus we have also included 12 adorable baby designs to go with the letters or used by themselves. We hope that you go GA-GA over this collection as much as we did.